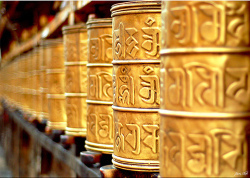 Tibetan prayer wheels are devices for spreading spiritual blessings and well being. Inside the container rolls of thin paper, imprinted with many copies of the mantra (prayer) Om Mani Padme Hung, printed in Tibetan script. By turning the wheel the blessing of the mantra is spread in all directions. 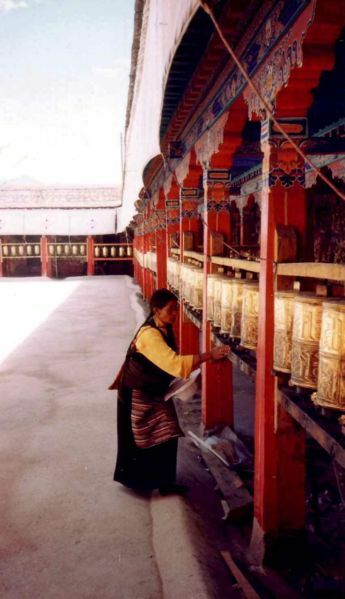 „It is very good to recite the mantra Om Mani Padme Hung, but while you are doing it, you should be aware of its meaning, for the meaning of the six syllables is great and vast... The first, Om symbolizes the practitioner's impure body, speech, and mind; but also the pure exalted body, speech, and mind of a Buddha. The path is indicated by the next four syllables. Mani, meaning jewel, symbolizes the factors of method: the altruistic intention to become enlightened, compassion, and love. The two syllables, Padme, meaning lotus, symbolize wisdom. Purity must be achieved by an indivisible unity of method and wisdom, symbolized by the final syllable Hung the indication of indivisibility. Thus the six syllables, Om Mani Padme Hum, mean that in dependence on the practice of a path which is an indivisible union of method and wisdom, you can transform your impure body, speech, and mind into the pure exalted body, speech, and mind of a Buddha”. 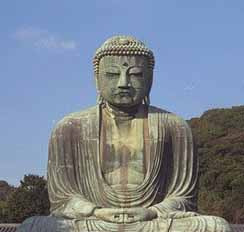 The idea of making an actual wheel might be originated from the phrase „turn the wheel of the dharma”, a classical metaphor for Buddha's teaching activity. The direct path for the purification of beings, for the overcoming of sorrow & lamentation, for the disappearance of pain & distress, for the attainment of the right method, & for the realization of Unbinding . the four frames of reference . happens when the yogi remains focused on the body in & of itself, feelings... mind... mental qualities in & of themselves . ardent, alert, & mindful . 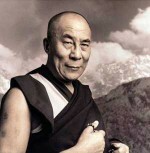 putting aside greed & distress with reference to the world. Ni helps achieve perfection in the practice of tolerance and patience. Hung helps achieve perfection in the practice of wisdom.